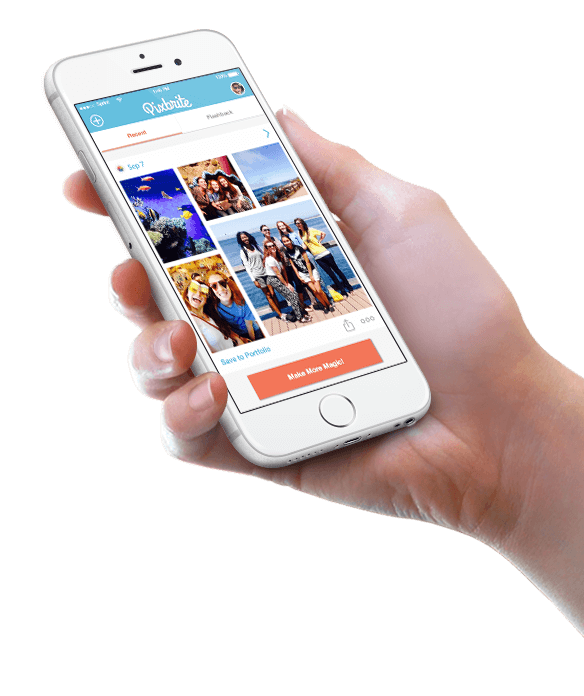 Get your photos from past and present automatically organized into a timeline of moments. Retouch, share, or discover related photos. Enjoy living in your moments! Featured in "Best New Apps" on the App Store. Receive your auto generated moments in real time. Just went to your favorite concert? Launch Pixbrite and see the best moments from the concert ready for sharing. Customize with your own style and share. Select from various layouts, backgrounds and stickers to add your personal touch. Let your creativity run wild. 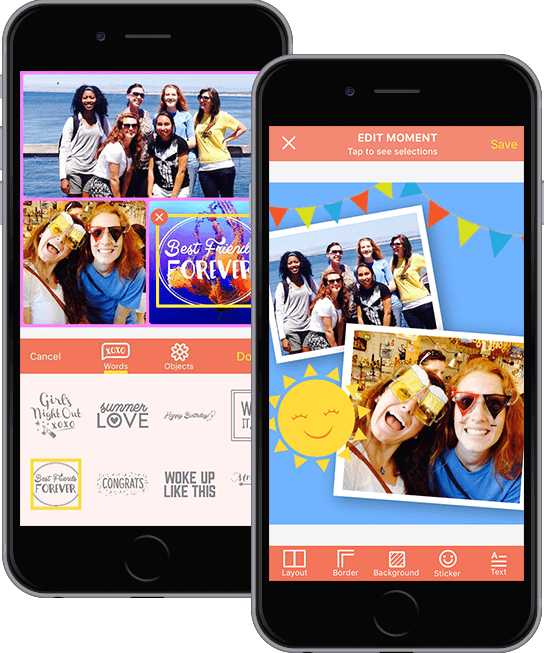 Select from various layouts, frames, backgrounds, stickers, and effects to make your photos stand out by adding your personal touch. Discover your past photos related by subject and location. It's like rediscovering forgotten gems! Your browser does not support the video tagp. Discover your past related photos by subject and location. It’s like rediscovering forgotten gems! Relive your past moments through weekly flashbacks. Get your little dose of nostalgia by revisiting your past moments by linking to Facebook, iCloud and other sources. Featured as "Best New App" on the App Store. Try it today!